Audis are known for their incredible presence on the road delivering the best between performance, luxury and comfort. However, OEM Audi parts are notorious for being expensive and difficult to find. Benzeen Auto Parts too offers parts for a vast line-up including the prestigious S and RS packages, quality used OEM Audi parts for sale at affordable prices with a hassle-free 1 Year Warranty. Buying with Benzeen saves you up to 70% off new and aftermarket prices and takes the guesswork out of buying parts! Anytime you need a part, we’ll be here, your one stop shop for genuine OEM Audi parts online. Our OEM auto part search tools find the parts you need in moments, saving you a trip to your local used spare parts store or Audi wrecking yard. Check us out anytime online here at Benzeenautoparts.com. Below are just a few of the solutions our parts provide. Where is the best place online to buy used OEM Audi parts? Easily find the part you need and verify compatibility using our advanced part search tools, no mechanic required! Order Audi parts from us anytime, 24/7 at BenzeenAutoParts.com! If you need assistance, experienced part specialists are standing by with access to part diagrams, parts catalogs, chassis codes, VIN decoders and more to help you find the exact OEM part! Where can I find affordable OEM replacement parts with a warranty for my Audi? At Benzeen we stand behind everything we offer to our valued customers. We include with every part, our hassle-free, 1 Year Warranty at no extra charge to bring you a safe and reliable option rather than buying junkyard or salvage yard Audi parts. Buying quality used with Benzeen also brings you savings of up to 70% off new and aftermarket prices. What are some popular replacement parts for Audi vehicles? While we at Benzeen offer any part your Audi needs, here are a few we specialize in: engines are typically replaced at over 200,00 miles, if your Audi is up there, no stress! Our used engines include our 1 Year Warranty and are cleaned, and quality tested. If your ABS pump is leaking, it’s time to give your vehicle quality used replacement. Though it is not common for a Audi ECU or ECM to fail, incorrect programming or water damage may require a replacement. Excessively loud music can sometimes cause your radio or amplifier to fail. Fortunately, we test and inventory plenty of OEM replacement options for your Audi. Rather than repairing your Audi transmission, sometimes it is cheaper to replace it with a used OEM alternative. Quality used Audi headlamps are our specialty. We buff and polish most lamps to bring you the next best thing to new! Why are used OEM Audi parts better than new or aftermarket? OEM is an abbreviation for Original Equipment Manufacturer which means: parts are made directly by Audi, not a third party. Because they’re made to fit the specifications of your make and model, you can expect an exact fit. However, new OEM parts are certainly not cheap. But when you buy used with Benzeen, you can expect significant savings off the MSRP of new. Because aftermarket parts are manufactured by a company other than Audi, they may not offer a reliable fit since these parts are produced at a high volume and made to similar specifications. This makes used OEM parts the safer and most affordable option! 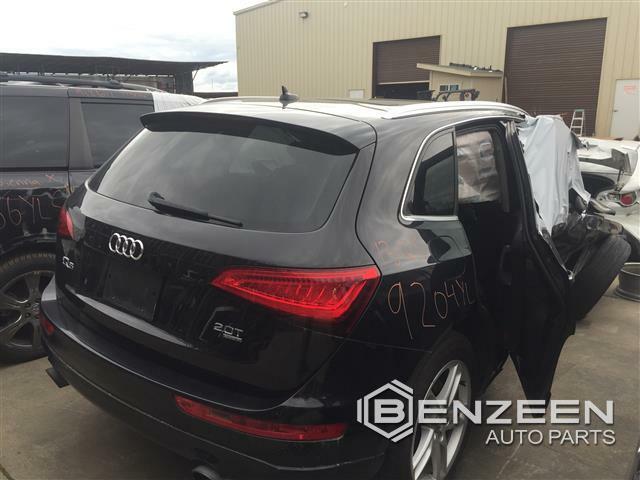 Now parting out this salvaged Audi Q5 to offer quality, reusable parts. We test and inspect every part to bring you the same OEM quality and fit with a 1 Year Warranty, at up to 70% off MSRP. Now parting out this salvaged Audi A3 to offer quality, reusable parts. We test and inspect every part to bring you the same OEM quality and fit with a 1 Year Warranty, at up to 70% off MSRP. Now parting out this salvaged Audi S4 to offer quality, reusable parts. We test and inspect every part to bring you the same OEM quality and fit with a 1 Year Warranty, at up to 70% off MSRP. 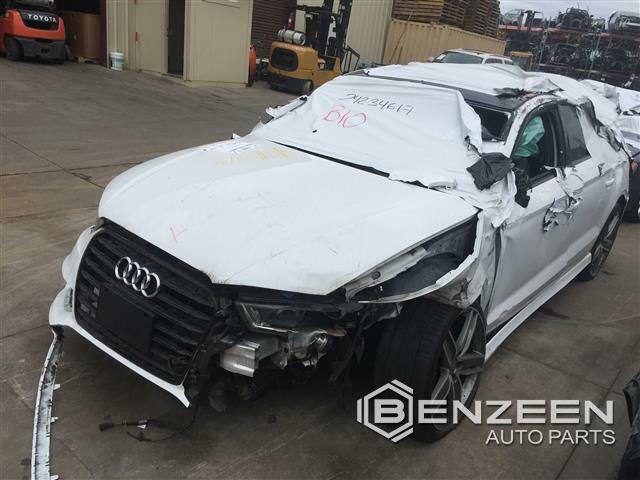 Now parting out this salvaged Audi Q7 to offer quality, reusable parts. We test and inspect every part to bring you the same OEM quality and fit with a 1 Year Warranty, at up to 70% off MSRP. Now parting out this salvaged Audi A7 to offer quality, reusable parts. We test and inspect every part to bring you the same OEM quality and fit with a 1 Year Warranty, at up to 70% off MSRP. Now parting out this salvaged Audi A4 to offer quality, reusable parts. We test and inspect every part to bring you the same OEM quality and fit with a 1 Year Warranty, at up to 70% off MSRP. Now parting out this salvaged Audi A6 to offer quality, reusable parts. We test and inspect every part to bring you the same OEM quality and fit with a 1 Year Warranty, at up to 70% off MSRP.